Your air conditioner is like a best friend during the hot summer months, keeping your family cool and helping to cut through the humidity in your home. When the temperatures rise, having a broken air conditioner could be very uncomfortable, not to mention detrimental to your health. Therefore, it’s important to take good care of your system and stop problems before they occur. Make sure your filter is clean before you call a service company. Dirty filters can cause the same symptoms as a dirty indoor coil. Your air conditioner is a sealed system. The only reason you should need to have refrigerant added to the system is if either the system has lost refrigerant or it was previously not charged to the proper level. The latter is common for us to see when we are performing service on a system after another company has serviced it. 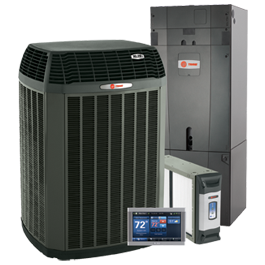 An air conditioner system that does not have the proper level of refrigerant can cost you money and cause you to be uncomfortable in the hot and humid days. The system will not remove as much heat and humidity from the house as it should. It can also cause damage to the compressor (the heart of the system). Many times our customers just opt to “top it off”…adding a pound or two. This may be a good decision for you if it is only leaking a pound or two per year. If you want us to find and repair the leak, a leak search will need to be performed. During the summer, this part is the most common to be replaced…especially when the temperatures are above 95°. The warmer it is outside and the harder the air conditioner has to work (sometimes caused by lack of maintenance), the more likely the capacitor is to overheat and fail. The capacitor helps the compressor start and run. If it fails, the outdoor fan will run but the compressor will not, resulting in no cool air coming out of the vents. Contactors “turn on” the compressor and outdoor fan in the outside air conditioner. They can become burned and pitted after just a few years of use. A burned or pitted contactor could cause compressor failure. Dirty outdoor coils will cause the system to not cool/dehumidify the home properly. It can also cause the compressor to overheat and fail. Dirty indoor coils can cause the system to “freeze up”. This can be seen as frost or ice on the tubing that connects the indoor unit to the outdoor unit. This condition is usually noticed when the system is running, but “no air is blowing out of the vents”. If either of the coils are dirty, the refrigerant level cannot be accurately determined. All things break down over time, and your air conditioning system is no exception. However, having a broken air conditioner in the middle of summer is likely to be far more of an inconvenience than being without certain other luxuries, and this is why it’s important to commit to regular maintenance and save you the hassle later on. 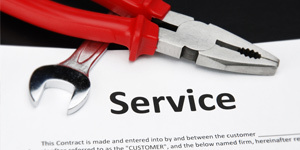 We offer one time inspections and Service Agreements. Annual Service agreements include (1) spring inspection, (1) fall inspection, 10% discount on repairs needed, and 5% discount on new equipment. As tempting as it is to read a few things on the Internet and head out to your air conditioner with your tools, it’s best to leave air conditioner repair, installation, and maintenance to the professionals. A professional will be able to clean and repair the filters, coils and other parts of your system, all while keeping an eye out for signs of a breakdown in the near future. To ensure that your system stays up and running, yearly maintenance should be carried out by a professional HVAC company. Call us at (937) 879-3337 and schedule an appointment. The sooner you have an inspection, the greater than chances that you and your family will get through the summer without having to suffer in the heat. Did you know? 1 /2 of all A/C, furnace, and boiler failures can be avoided with regular maintenance. Call us today at 879-DEER (3337) to learn how to avoid system failures and maintain your system at a lower cost!